Background Dual antiplatelet therapy (DAT) with clopidogrel plus aspirin is a well-established antithrombotic strategy, with hemorrhage being the chief adverse event (AE) of concern. Outside of clinical trials, few published data describe the magnitude and nature of hemorrhage-related AEs from DAT. Methods To estimate the numbers and rates of emergency department (ED) visits for hemorrhage-related AEs (hemorrhage or evaluation for potential hemorrhage) from DAT in the United States and put them in the context of those from warfarin, we analyzed AEs from the National Electronic Injury Surveillance System–Cooperative Adverse Drug Event Surveillance project, 2006-2008, and outpatient prescribing from the National Ambulatory Medical Care Survey and the National Hospital Ambulatory Medical Care Survey, 2006-2007. Results Based on 384 cases, there were an estimated 7654 (95% confidence interval [CI], 3325-11 983) ED visits annually for hemorrhage-related AEs from DAT compared with 2926 cases and an estimated 60 575 (36 117-85 033) ED visits from warfarin. Approximately 60% of ED visits for DAT consisted of epistaxis or other minor hemorrhages (eg, bleeding from small cuts). The risk of hospitalization for ED visits involving acute hemorrhages was not significantly different between DAT and warfarin (risk ratio, 0.73; 95% CI, 0.38-1.08). The estimated rate of ED visits involving acute hemorrhages from DAT was 1.2 per 1000 outpatient prescription visits vs 2.5 per 1000 outpatient prescription visits for warfarin (risk ratio, 0.49; 95% CI, 0.15-0.83). Conclusions These findings indicate that the acute hemorrhagic risk with DAT is clinically significant and reinforce the importance of practitioners and patients recognizing and anticipating this risk. Although data on adverse events (AEs) from DAT are available from clinical trials, the clinical management of and patient risks for AEs in the real-world use of antithrombotic agents are known to differ.17,18 We used nationally representative surveillance data from the United States to describe the frequency, rates, and nature of emergency department (ED) visits for hemorrhagic and other related AEs attributed to clopidogrel plus aspirin therapy. To gain a better understanding of the magnitude and scope of these types of AEs, we placed these data in the context of similar data for warfarin, an agent with a related AE profile. We estimated the number of AEs for patients receiving DAT and for those receiving warfarin based on data from the National Electronic Injury Surveillance System–Cooperative Adverse Drug Event Surveillance (NEISS-CADES) project, a national stratified probability sample of 63 hospitals in the United States and its territories.19-21 For this analysis, only data from the 58 participating nonpediatric hospitals were used. In brief, trained coders at each hospital review clinical records of every ED visit to identify physician-diagnosed adverse drug events (ADEs) and report up to 2 medications implicated in each ADE and any concomitant medications listed in the medical record. Coders also record narrative descriptions of the incidents, including physician diagnosis and clinical testing. Narrative descriptions are coded using the Medical Dictionary for Regulatory Activities (MedDRA), an international terminology used to analyze ADE reports. For this investigation, an ADE case was defined as an incident ED visit made by a patient older than 17 years between January 1, 2006, and December 31, 2008, in which (1) clopidogrel, aspirin, or warfarin was implicated in the ED visit and (2) the ED visit was the result of either an unintentional overdose from an antiplatelet or anticoagulant agent (as evidenced by hemorrhage, laboratory coagulation variable abnormality, or other toxic effects) or workup for hemorrhage in a patient receiving an antiplatelet or anticoagulant agent (ie, an ED visit due to a fall or injury while receiving an antiplatelet or anticoagulant agent). The Standardized MedDRA Query for hemorrhage, a grouping of relevant MedDRA terms that assists in retrieval of ADE terms related to a specific condition of interest, was used to identify cases involving hemorrhage. All implicated and concomitant medication fields were searched to identify the presence of warfarin, clopidogrel, or aspirin. Cases were excluded if the ED visit was unrelated to a patient's own medication (eg, as with a patient mistakenly taking an antiplatelet or anticoagulant medication prescribed to another individual). The ED cases were categorized as being due to clopidogrel plus aspirin if use of both drugs was documented and use of neither an anticoagulant medication (warfarin, heparin, or low-molecular-weight heparin) nor another antiplatelet medication (dipyridamole or ticlopidine) was documented. The ED cases were categorized as being due to warfarin if warfarin was implicated in the AE and use of no other anticoagulant medication (heparin or low-molecular-weight heparin) or antiplatelet medication (aspirin, clopidogrel, dipyridamole, or ticlopidine) was documented. Each selected NEISS-CADES, NAMCS, and NHAMCS record was accompanied by a sample weight based on inverse probability of selection, adjusted for nonresponse and poststratified to adjust for the number of annual hospital ED visits (NEISS-CADES) and adjusted for nonresponse and population changes incorporating weight smoothing (NAMCS/NHAMCS).19,22,26,27 National estimates of ED visits and outpatient prescription visits and corresponding 95% confidence intervals (CIs) were calculated using the SURVEYMEANS procedure in SAS (version 9.2; SAS Institute Inc, Cary, North Carolina) to account for the sample weights and complex sample designs. The resulting frequency estimates and CIs derived from NEISS-CADES data were divided by 3, and those derived from NAMCS/NHAMCS data were divided by 2, to obtain annual estimates. Estimates based on small numbers of cases (<20 cases for the NEISS-CADES project and <30 cases for the NAMCS/NHAMCS) or with a coefficient of variation greater than 30% were considered statistically unstable and are noted in the tables. To assess the risk of selected outcomes (ED visits for any acute hemorrhage; for epistaxis, skin, or other minor hemorrhages; and for gastrointestinal tract hemorrhages and ED visits resulting in hospitalizations) associated with clopidogrel plus aspirin therapy relative to the risk associated with warfarin use, we divided the proportion of selected ED visits (for all hemorrhage-related AEs, those for acute hemorrhages, or those for gastrointestinal tract hemorrhages) resulting in each specific outcome for DAT by the comparable proportion for warfarin. The 95% CIs for the component proportions (risks) incorporated the inherent variability in the numerator and the denominator of each risk estimate by applying the domain estimation feature of the SURVEYMEANS procedure. The 95% CIs for the risk ratios (RRs) similarly incorporated the variability in the numerators and denominators of both component risk estimates.28 The risks of specific outcomes in the 2 separate patient populations were treated as independent (and, thus, as having zero covariance). A sensitivity analysis indicated that the conclusions based on the CIs for these RRs were in almost all instances robust against moderate to strong correlation between the 2 estimated risks. A similar approach was used to assess the relative risks of ADEs per outpatient prescription visit. We first divided the estimated annual number of ED visits for ADEs (for hemorrhage-related AEs overall and for any acute hemorrhage from the NEISS-CADES project) by the estimated annual number of outpatient prescription visits at which clopidogrel plus aspirin or warfarin was prescribed (from the NAMCS/NHAMCS) to obtain a risk estimate for each prescription group. These risk estimates were then used to calculate ratios of the risks associated with clopidogrel plus aspirin to the comparable risks associated with warfarin. The accompanying 95% CIs for the component risks and RRs again recognized variability in the numerator and denominator of each risk estimate.28 The component risk estimates were again assumed to be independent across patient populations (and, as previously stated, this assumption was complemented by a sensitivity analysis that suggested robustness against nontrivial correlations). Based on 384 NEISS-CADES cases, an estimated 7654 ED visits (95% CI, 3325-11 983) were made annually for hemorrhage-related AEs by patients receiving clopidogrel plus aspirin (Table 1). In comparison, based on 2926 NEISS-CADES cases, an estimated 60 575 ED visits (95% CI, 36 117-85 033) were made annually by patients receiving warfarin. The median age was 73 years (age range, 27-100 years) for patients taking clopidogrel plus aspirin and 75 years (range, 18-101 years) for patients receiving warfarin. The number of ED visits for hemorrhage-related AEs increased with age for clopidogrel plus aspirin and for warfarin. Females accounted for a nominally lower proportion of ED visits involving clopidogrel plus aspirin (46.9%; 95% CI, 41.1%-52.8%) than of visits involving warfarin (53.6%; 48.7%-58.6%). Almost exclusively, ED visits for hemorrhage-related AEs by patients receiving clopidogrel plus aspirin were for acute hemorrhages, and an estimated two-thirds of ED visits for warfarin complications involved acute hemorrhages (Table 2). The remainder of visits involving warfarin were for abnormalities in laboratory coagulation variables (eg, elevation in the international normalized ratio) with no evidence of hemorrhage or for evaluation of potential hemorrhage from a fall or injury while taking warfarin (26.7% of ED visits; 95% CI, 21.3%-32.1%) and for toxic effects otherwise not described (5.7%; 1.6%-9.9%). For DAT and warfarin, most ED visits for acute hemorrhages were composed of epistaxis, skin, or other minor hemorrhages (59.4%; 95% CI, 44.8%-74.0% and 54.3%; 48.6%-60.0%, respectively). Considering only ED visits for acute hemorrhages, the risk of epistaxis, skin, or other minor hemorrhages for clopidogrel plus aspirin therapy was similar to that for warfarin therapy (RR, 1.09; 95% CI, 0.81-1.38). Few DAT-related ED visits for epistaxis, skin, or other minor hemorrhages resulted in hospitalization (17 cases), whereas 19.8% (95% CI, 14.0%-25.6%) of warfarin-related ED visits for these types of hemorrhages resulted in hospitalization. Gastrointestinal tract hemorrhages composed approximately one-third (30.5%; 95% CI, 17.9%-43.1%) of ED visits for acute hemorrhages associated with clopidogrel plus aspirin and one-quarter (22.8%; 16.9%-28.7%) of ED visits for acute hemorrhages associated with warfarin use. Considering only ED visits for acute hemorrhages, the risk of gastrointestinal tract hemorrhages was nominally higher for clopidogrel plus aspirin therapy than for warfarin therapy, but the difference was not significant (RR, 1.34; 95% CI, 0.70-1.98). For the subset of ED visits involving gastrointestinal tract hemorrhages, the risk of hospitalization was similar for both groups (RR, 1.02; 95% CI, 0.81-1.23). There were too few central nervous system hemorrhages (9 cases) with clopidogrel plus aspirin to calculate a national estimate, whereas 3.2% (95% CI, 1.6%-4.9%) of ED visits for acute hemorrhages due to warfarin were central nervous system hemorrhages (82 cases). Considering ED visits for hemorrhage-related AEs overall, the risk of hospitalization was significantly lower for DAT (RR, 0.67; 95% CI, 0.37-0.98). However, when only ED visits involving acute hemorrhages were considered, the difference was not statistically significant (RR, 0.73; 95% CI, 0.38-1.08). Specific descriptions of hemorrhagic complications from clopidogrel plus aspirin therapy and from warfarin use are provided in Table 3. Adjusted for prescribing frequency, the estimated rate of ED visits for hemorrhage-related AEs overall was approximately 3 times higher for patients receiving warfarin vs patients receiving clopidogrel plus aspirin (3.7 vs 1.2 ED visits per 1000 outpatient prescription visits) (Table 4). These estimates translated into an RR (for clopidogrel plus aspirin relative to warfarin) significantly below 1.0 (RR, 0.34; 95% CI, 0.10-0.57). When only acute hemorrhagic events were considered, the rate of ED visits for warfarin dropped (to 2.5 ED visits per 1000 outpatient prescription visits), whereas the rate for clopidogrel was nearly unchanged. However, the corresponding RR remained significantly below 1.0 (RR, 0.49; 95% CI, 0.15-0.83). The decision to initiate DAT involves consideration of risks and benefits, and these national public health surveillance data can improve the understanding of the risks of hemorrhage-related AEs outside the rigorous controlled settings of clinical trials. In absolute terms, the estimated number of ED visits for hemorrhage-related complications from DAT (7654 annually) was just more than one-tenth that from warfarin (60 575 annually). Accounting for prescribing frequency, this difference was less pronounced but remained statistically significant. We found that, on average, for every 815 outpatient visits at which clopidogrel plus aspirin was prescribed, 1 patient presented to an ED for related bleeding or evaluation for bleeding; for every 274 outpatient visits at which warfarin was prescribed, 1 patient presented to an ED for related bleeding or evaluation for bleeding. Treatment with warfarin has demonstrated clear benefits in numerous settings in which DAT does not have an established role, and the choice to use warfarin as a comparator is not intended to imply that these safety data can dictate one choice of antithrombotic strategy over the other; however, these population-based data contextualizing the hemorrhagic risks of DAT relative to those of an agent such as warfarin help identify several important issues about the scope and magnitude of hemorrhage-related AEs associated with clopidogrel plus aspirin use. Second, regarding the severity of AEs, life-threatening hemorrhages, including central nervous system and pulmonary hemorrhages, seem to be less common with clopidogrel plus aspirin therapy; however, a substantial proportion (almost one-third) of clopidogrel plus aspirin–related ED visits for hemorrhage-related AEs were serious enough to require hospitalization. When only visits involving acute hemorrhages were considered (and not elevations in laboratory variables or falls/injuries while undergoing antiplatelet or anticoagulant therapy), the risk of clopidogrel plus aspirin–related ED visits resulting in hospitalization was not significantly different from that for warfarin. 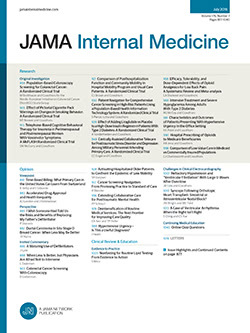 In addition, almost one-third of clopidogrel plus aspirin–related ED visits were for gastrointestinal tract hemorrhages, and almost 80% of these patients required hospitalization, also similar to the proportion of patients hospitalized with gastrointestinal tract hemorrhages due to warfarin use. Third, although we found the overall risk of hemorrhage-related ED visits to be 3-fold higher for warfarin than for clopidogrel plus aspirin, a little more than one-half of the ED visits for acute hemorrhages due to warfarin were composed of minor hemorrhages and one-quarter of warfarin-related ED visits, overall, were for elevation of laboratory coagulation variables without documentation of hemorrhage. When only visits with documentation of acute hemorrhage are considered, the risk of ED visits was only 2-fold higher for warfarin than for clopidogrel plus aspirin. Although this still represents a lower risk of hemorrhage with DAT than with an agent such as warfarin, unlike warfarin, whose bleeding risk can be successfully minimized by improvements in warfarin management, including careful dose titration, international normalized ratio monitoring, patient education, and comprehensive warfarin management programs,36-39 there remain few similar interventions for mitigating bleeding harm from antiplatelet medications. The rate of ED visits per outpatient prescription visit for clopidogrel plus aspirin is higher than previously found for drugs considered potentially inappropriate in elderly patients, which have been estimated to cause approximately 0.06 ED visits per 1000 outpatient prescription visits (95% CI, 0.03-0.08).40,41 Although these potentially inappropriate medications have been widely incorporated into numerous patient safety and quality initiatives, including national measures of prescribing safety,42-44 few, if any, measures are currently available that identify patients receiving DAT as being at high risk for AEs.45 Because the role of clopidogrel plus aspirin is expanding in the primary and secondary prevention of thromboembolic disorders, incorporation of DAT into patient safety measures that identify this combination as an important contributor to serious AEs will be important. This study's findings should be interpreted in the context of the limitations of public health surveillance data. First, regarding ED visit data, information on medical history is limited in the NEISS-CADES project, so all patients, regardless of indication for antithrombotic therapy, aspirin dose,53 or other known hemorrhage-related risk factors, were included in this analysis. Second, because these data are based on ED record review, medication history may be incomplete; however, omission of antiplatelet medication or warfarin during the workup for an ED visit involving hemorrhage or evaluation for potential hemorrhage is likely minimal. Third, comparisons of ED visits for epistaxis, skin, or other minor hemorrhages between DAT and warfarin therapy may have been affected by the fact that patients receiving warfarin are more likely to have longer durations of treatment (eg, lifelong treatment in patients with AF) relative to patients receiving DAT (eg, 12-month treatment after percutaneous coronary intervention). For this reason, patients receiving warfarin may be more familiarized with minor hemorrhages and less likely to seek ED treatment for such hemorrhages than may patients undergoing DAT. Regardless, this does not negate the substantial contribution of these types of hemorrhages to the overall burden of ED visits from DAT. Regarding prescription data, first, it is possible that aspirin use was underreported in patient medical histories given its over-the-counter status; however, this is much less likely for patients who have a clinical indication for DAT compared with patients who are receiving aspirin monotherapy as primary or secondary prevention for other cardiovascular indications. Also, a large percentage of over-the-counter medications are captured during physician office, hospital outpatient department clinic, or ED visits that compose the NAMCS/NHAMCS samples.54 Second, NAMCS/NHAMCS prescription estimates exclude telephone and e-mail contacts and prescriptions initiated in nursing homes, in ambulatory surgery centers, and during hospitalizations or provided at hospital discharge,22 which may explain why the present estimates of warfarin prescribing are lower than what has been reported in other ambulatory prescription data sources.18 Assuming that the NAMCS and the NHAMCS underestimate prescription visits equally and in the same direction for clopidogrel plus aspirin and for warfarin, and because these analyses relied largely on the relative risks of ED visits per outpatient prescription visits, we would expect this bias in the number of ambulatory prescriptions to minimally affect the conclusions about the magnitude of DAT-related hemorrhagic risk relative to that of warfarin. Third, outpatient prescription visits are a crude measure of exposure for comparing warfarin use (likely associated with frequent follow-up outpatient visits) with clopidogrel plus aspirin use (likely associated with fewer follow-up outpatient visits). However, reporting the number of AEs relative to the number of ambulatory care visits at which DAT or warfarin was prescribed or continued provides good context for the risks that DAT imparts with every patient encounter. The beneficial role of DAT is well established in patients with acute coronary syndromes and may potentially expand to a subset of patients with AF. Ultimately, for each patient, the hemorrhagic risk associated with DAT will be determined by his or her specific demographic and clinical risk factors, underlying diagnosis, treatment setting, and quality of clinical care. Broadly, however, these nationally representative findings on AEs indicate that the hemorrhagic risk of clopidogrel plus aspirin therapy is substantial and suggest a need to approach that risk with vigilance. The high frequency of minor hemorrhages with clopidogrel plus aspirin suggests that efforts targeted at educating patients to anticipate and recognize such events so as to optimize patient adherence to therapy will be important. Correspondence: Nadine Shehab, PharmD, MPH, Division of Healthcare Quality Promotion, Centers for Disease Control and Prevention, 1600 Clifton Rd NE, Mail Stop A-24, Atlanta, GA 30333 (nshehab@cdc.gov). Accepted for Publication: May 4, 2010. Author Contributions:Study concept and design: Shehab and Budnitz. Acquisition of data: Shehab and Budnitz. Analysis and interpretation of data: Shehab, Sperling, Kegler and Budnitz. Drafting of the manuscript: Shehab. Critical revision of the manuscript for important intellectual content: Shehab, Sperling, Kegler, and Budnitz. Statistical analysis: Shehab, Kegler, and Budnitz. Obtained funding: Budnitz. Administrative, technical, and material support: Shehab and Budnitz. Study supervision: Sperling and Budnitz. Additional Contributions: Kelly Weidenbach, MPH, Katheryne Richardson, PharmD, and Victor Johnson of the Centers for Disease Control and Prevention and Cathy Irish, BS, and Joel Friedman, BA, of the US Consumer Product Safety Commission assisted with data collection and Kevin Felner, MD, of New York University School of Medicine provided thoughtful contributions to the manuscript. None of these individuals received compensation for their contributions.